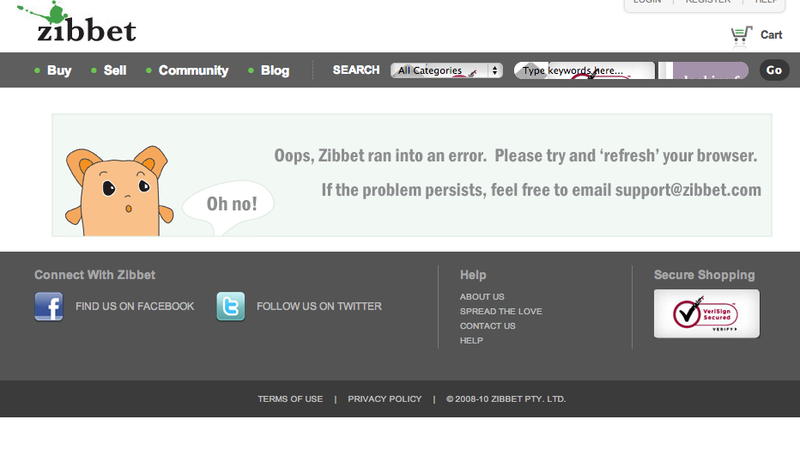 That dissatisfaction may be on display right now in the form of a Web outage on its competitor’s marketplace Zibbet.com. 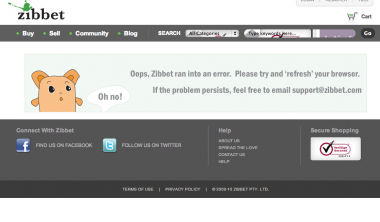 Zibbet’s site has been down off and on over the last few hours as it deals with an influx of Web traffic and new sellers attempting to sign up for the platform and import their images from their Etsy storefronts, according to CEO Jonathan Peacock. He said more than 1,000 new sellers signed up for Zibbet yesterday — a huge number considering there are only about 5,500 sellers total on Zibbet. There are also currently 35,000 images waiting to be imported from Etsy to Zibbet, Peacock said. In the email, Peacock promises the Zibbet community that the company will never go down the path Etsy just did. Zibbet’s five-person staff is based in Sydney, Australia, but Peacock said that about 80 percent of buyers and sellers are from the U.S. The marketplace charges sellers only a flat monthly or annual fee; Etsy, on the other hand, makes money by taking a cut of transactions and charging fees to list products for sale. Peacock won’t talk about Zibbet’s sales numbers because he admits they are a small fraction of Etsy’s. But he believes that the Etsy changes provide a big opportunity for the marketplace to carve out space as a clear No. 2 alternative. Now Peacock, who said the company is halfway through rebuilding the back end of its marketplace, just has to get the site up and running smoothly again.